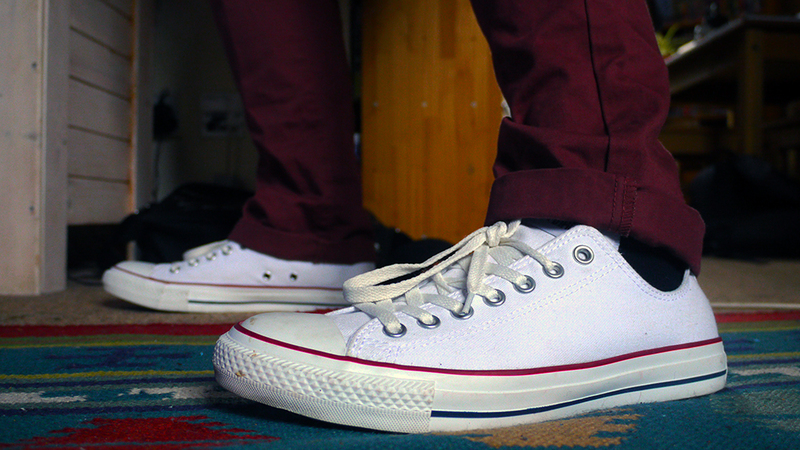 So here’s what I decided to wear for the first non-Sole Of Sci-Fi day – a pair of simple classics, that look surprisingly new considering I bought them last January. But we all know the real reason why. Richard Edwards, Lee Harris, Jordan Farley, The Llama God, Rob Power, Tracey Lister, Zoë Gould (I forgot the “u” in yesterday’s thanks list), Boo, Nick Setchfield, Andrew Moir and two other shy donors. I’m also reliably informed that some money has been donated by Paypal as well (the sponsor site being all wiggy yesterday) though that has yet to appear. So as of today the official total is: £1,725! Cheers to everybody who donated! And as I Tweeted last night, Happy New Year, and I hope everyone has a great 2015, unless your name is Nigel Farage. Ha… ha… ha… ha… ha… happy new year for tomorrow! There were doubters. There were cynics. There were multidimensional imps with pointy sticks (have I mentioned them?). But here we are. The last day. 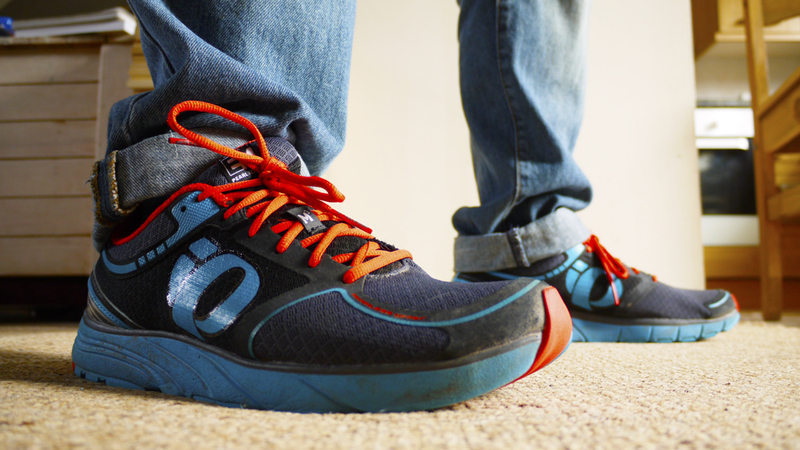 The 365th pair of trainers and over a grand and half raised for Alzheimer’s Research UK. 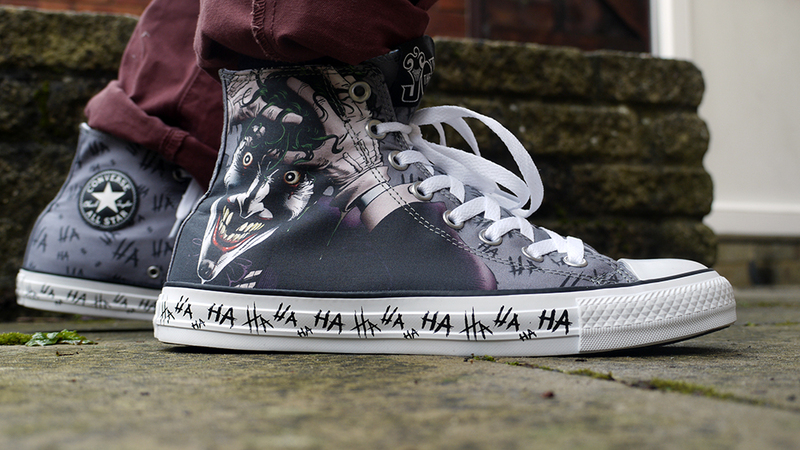 The Sole Of Sci-Fi ends as it began, back on January 1st 2014, with a pair of Batman villain Converse All-Stars. 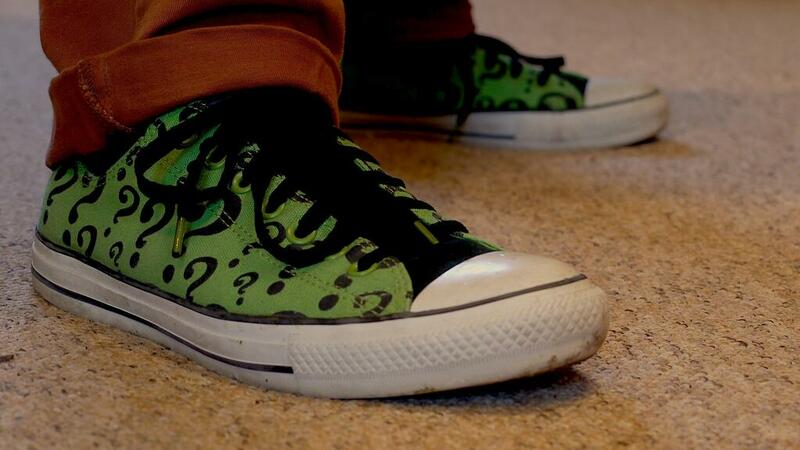 Then it was the Riddler (right) today it’s the Joker. There’s a definite feeling of having come full circle. Simon Withers, Richard Edwards, Steve Gotobed, Nicky Gotobed, Dom Carter, Pete Bayly, Ian Hepburn, Lisa Wood, Steven Ellis, Paula Miller, David Bradley, Emmaryal, Boo, Stacey Whittle, Dan Grenfell, Sarah Montrose, Zoë Gold, Deborah Bradley, Jayne Nelson, Fraser James, Mum, Dad, Rhian Drinkwater, Michael Molcher, John Edwards, Mrs Hirez, NurseDarry (the pun-master), Misty Lister, Toria, Rob Spedding, Nick Setchfield, Sarah Fones, Martin Fahey, Narin Flanders, Will Guyatt, Jodan Farley. I’m also painfully aware that I have seven pairs of trainers in the house that need to go back to their original owners. Don’t panic. This will happen soon. Hmm, that’s a lot of words. 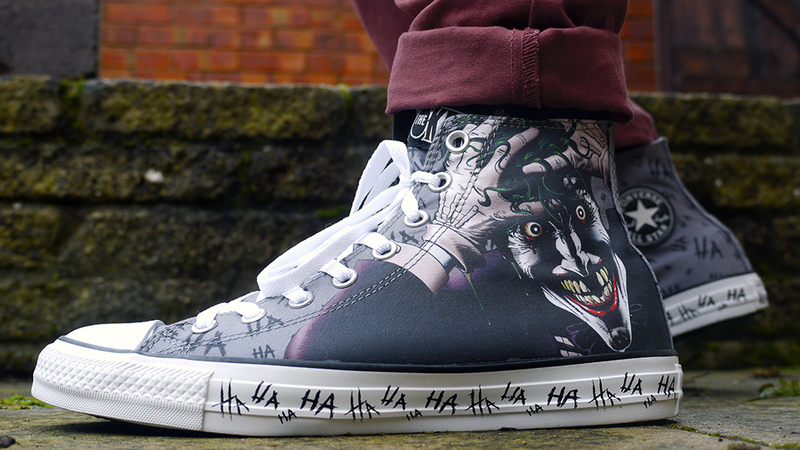 Here are those Joker Cons again from another angle to break up the text. So, at the end of the year, what are my main memories? 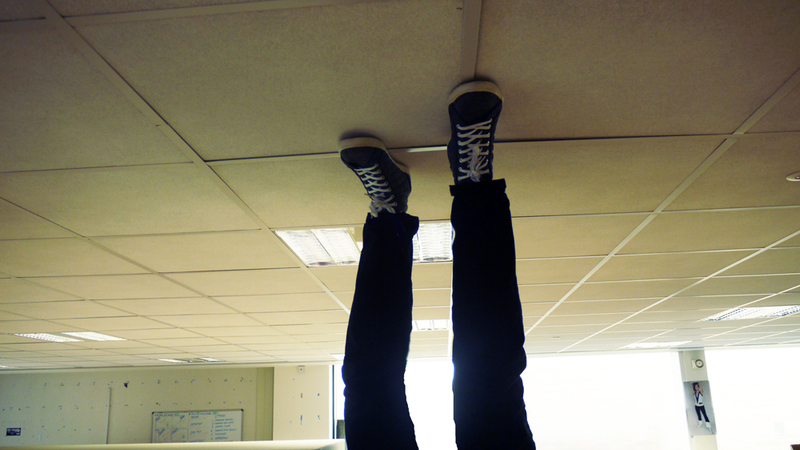 Clambering over filing cabinets in the SFX office in the early days chiefly. I still love my Inception photo from Day 67 because it was done without any Photoshop, just me lying on my back on some shelves in the office stretching my legs to the ceiling. In those early days I had the naive ambition to try to do all the photos without using Photoshop trickery, but I’m glad I relented, as the blog began to much about five time the traffic when I started doing the movie and TV skits which eventually became the site’s defining MO. 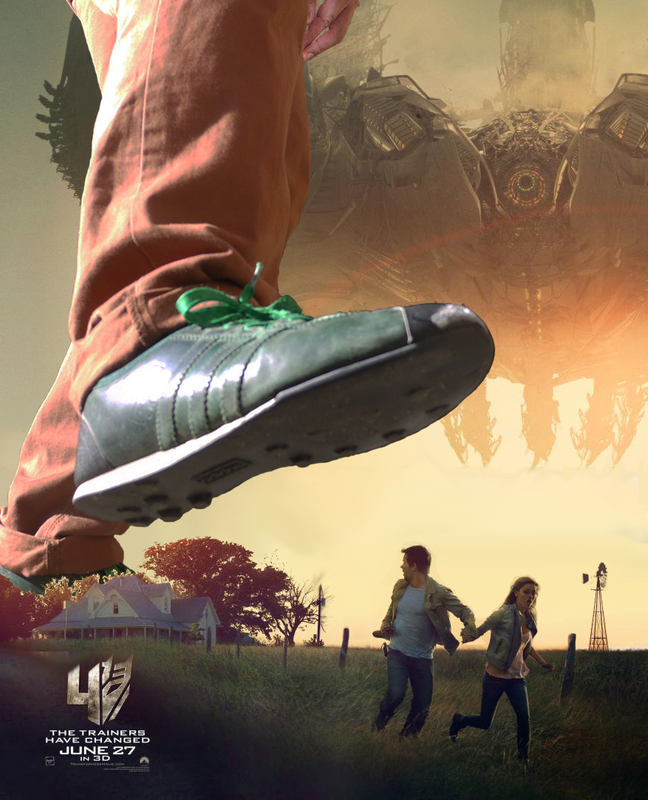 It’s now impossible to think back on Sole Of Sci-F without images like this Trasformers poster one coming to mind (actually one of my faves of the year in terms of getting the trainers – which belonged to Steven Ellis – to integrate convincingly with the image: somehow the colours and lighting just worked). 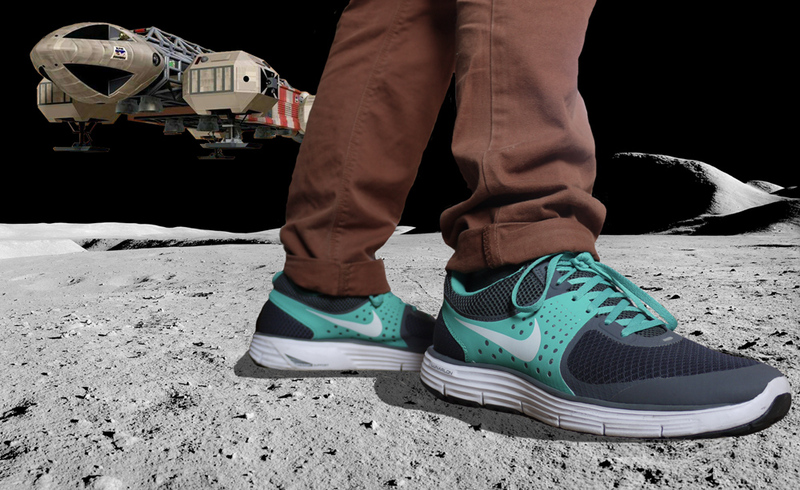 My Favourite Sole Of Sci-Fi shot of the year: Loved the combination of quirky trainers, moody photo and subdued colours. Worst Character Of The Year: Another tie – Rebecca Pine in Under The Dome/Barbara Gordon in Gotham. I’m not being misogynistic. One for being a walking plot device whose character changed every week the other for being so wimpy and whiny it’s impossible to believe she’ll ever be Batwoman/Batgirl/Battokenfemale. Good grief, surely TV evolved beyond creating such thin female characters years ago. 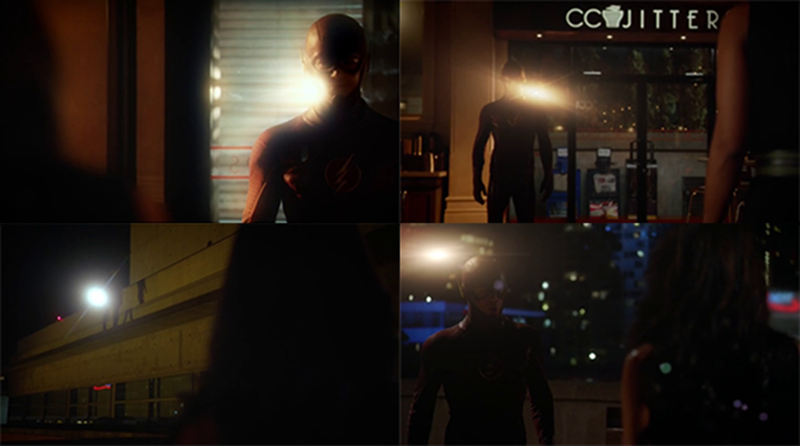 Most Amazing Ability Of The Year: Either Halle Berry’s ability to scale elevator shafts wearing high heels shoes or the Flash’s ability to know exactly where to stand to be backlit when taking to Iris. Villains Of The Year: The production designing and lighting team on Marvel’s Agents Of SHIELD for making the show (which in terms of writing and characters is getting better an better) look so drab and uninteresting. They should be forced to watch Gotham with looks gorgeous even when the scripts are little iffy. 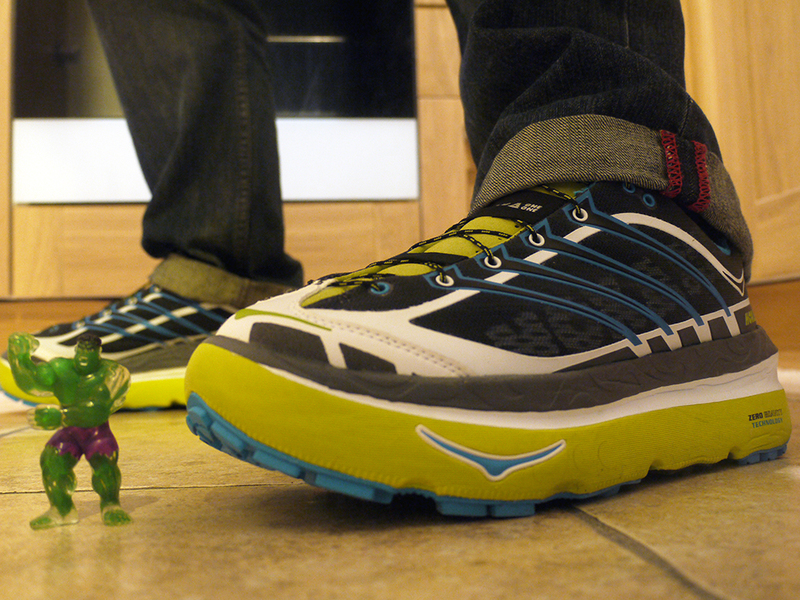 Freakiest Trainers I Had To Wear This Year: Crepe-soled running shoes? No thanks. And that’s your lot. I’ll update the blog irregularly in the coming weeks with total updates (if there are any). I’ll be looking forward to getting an hour and a half of my life back every day. And I’ll try to work out what I should blog about next. By necessity, I need a new angle. But one thing’s for sure – it won’t be daily. Thanks everybody. Keep in touch via Twitter and Facebook. The penultimate day, and the brilliant sunshine sees me out on the bike again, making the most of this gorgeous day. Thunderbird 2 looks great in the cloudless skies. I’ve also managed to write a feature for the SFX website today which I actually enjoyed researching. 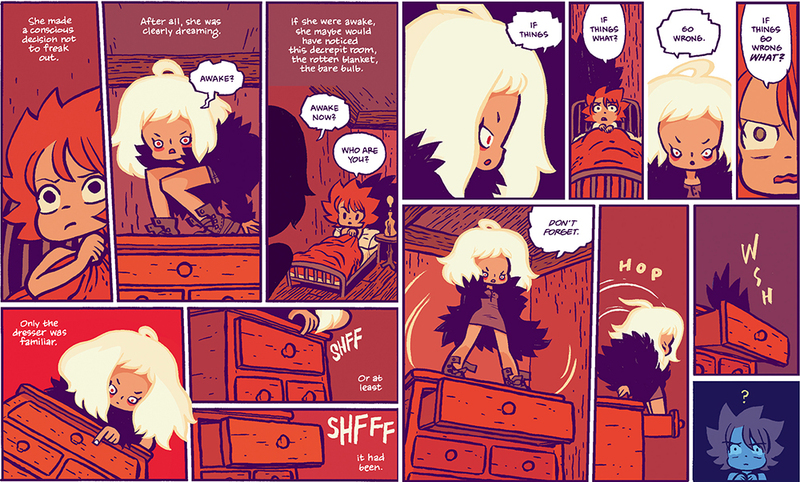 Not sure when it’s going to be posted but considering the nature of the piece (ten best sci-fi and fantasy moments of 2014) I’m guessing pretty soon. Any guesses what I might have included. I’ll give you one clue: one is from a show I don’t watch, but Jayne Nelson recommended it so I watched the episode in question, and had to agree with her; it’s a classic moment. 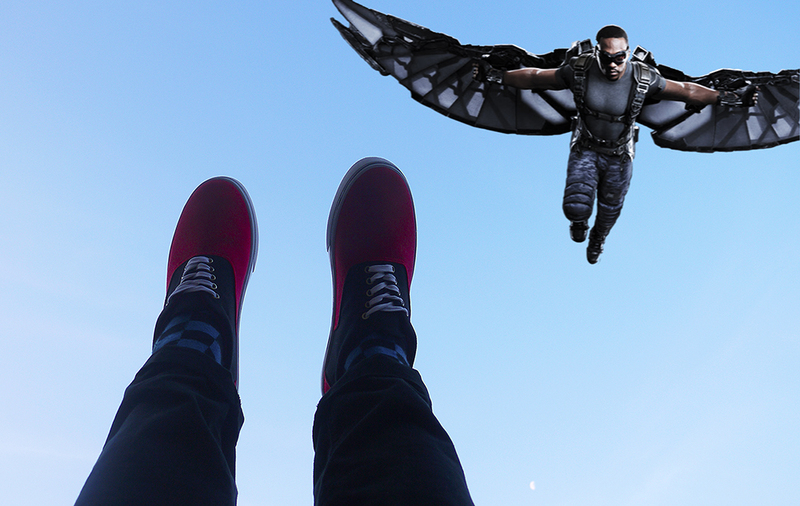 Tomorrow I’ll be doing my Sole Of Sci-Fi review of the year. As of this moment, I’m not entirely sure what that’ll entail, but it’ll be great. And I have some great trainers to mark the end of the challenge. Today’s are the last loan pair (some squash shoes from a brand I’ve never heard of ) from Richard Edwards; tomorrow’s are mine and bring everything full circle. • Remember this is all for charity, so any pennies or pounds you can spare PLEASE DONATE BY CLICKING HERE. 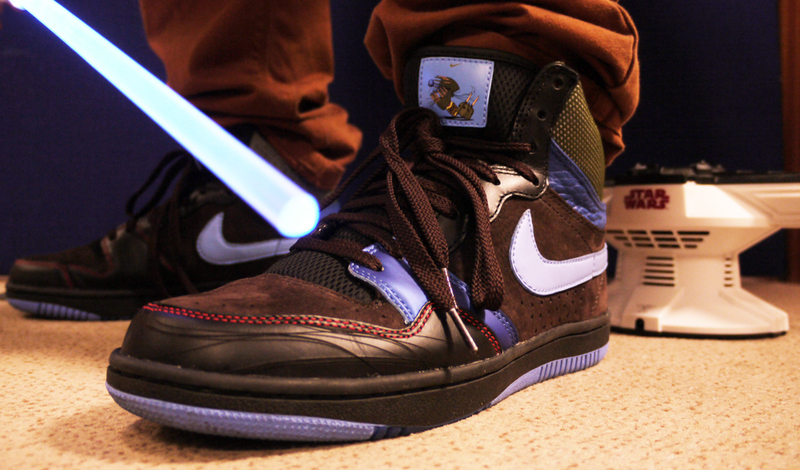 • Follow me on Twitter to make sure you see what trainers I’m wearing each day. Apologies for the blog being a bit late today, but it was one of those “things don’t always go to plan” days. 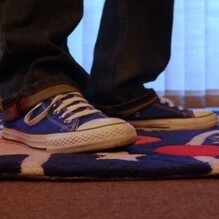 Y’see, I was convinced I had the rest of the year covered in terms of trainers, but the pair I had planned on wearing today – a loan pair – were the same as a pair I’d worn earlier in the year, which I’d completely forgotten I’d worn. And this after I was bragging to my mum over Christmas how I didn’t need to keep a list because I could remember every pair I’d worn. But there was the nagging feeling that the Nike bleachers I’d planned to wear did look familiar, and indeed they were; I’d worn some in the same style and colour on day 81. I think the loveliness of the purpleness was blinding me to the facts. So, having discovered there was a hole in the schedule (I have a loan pair from Richard Edwards for tomorrow and something special planned for the last day) I need to plug the hole. 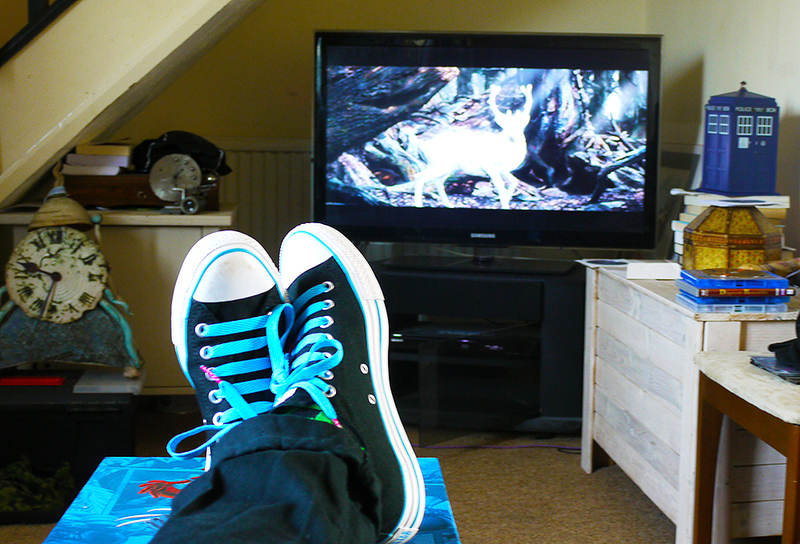 This I did by going into Bath and buying the cheapest pair I could find – which happened to be just £3.50 in a sale from one of those cheapo sports shop chains (so cheap, they don’t even come in boxes)! I’ll be lucky if I can sell them on at a car boot for a quid, though. They really are shockingly poorly made. They may not even last the day. I also linked up with my old mate Jayne Nelson, who was back in Bath on a rare trip away from London. Actually, she does leave London quite a bit, but rarely to go to other places in the UK – she prefers trips abroad and recently fell in love with Iceland. We has a good old natter and I bribed her into helping me with a feature I have to write tomorrow with lunch at Giraffe. After that, we formulated a plan to take over the world and searched for some rat bedding. One of these may not be true. She also agreed with me that “Last Christmas” was the best Doctor Who Christmas special since the first one. Still, I’ve got the double whammy of “Mummy…” and “Flatline” to come, which I’m looking forward to. And maybe I’ll discover that “In The Forest Of The Night” has “grown in stature” (to paraphrase Steven Moffat), though I doubt it. I also watched Guardians Of The Galaxy again last night, and I’m even more convinced it was secretly written by Russell T Davies, it feels so much like a Tennant-era Who story. And I still love it to bits. 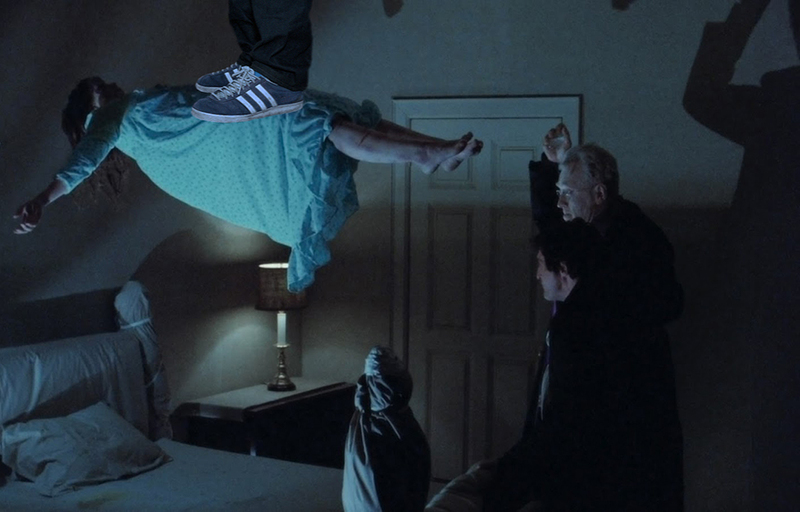 Adding some Adidas to The Exorcist has the peculiar effect of making it look less like a horror movie and more like a David Blaine stunt. Off out soon, so a short blog today. I’ll make up for it with a couple of longer ones in the last few days. You’re not escaping without my review of the year! The Gorillaz are almost sci-fi, aren’t they? 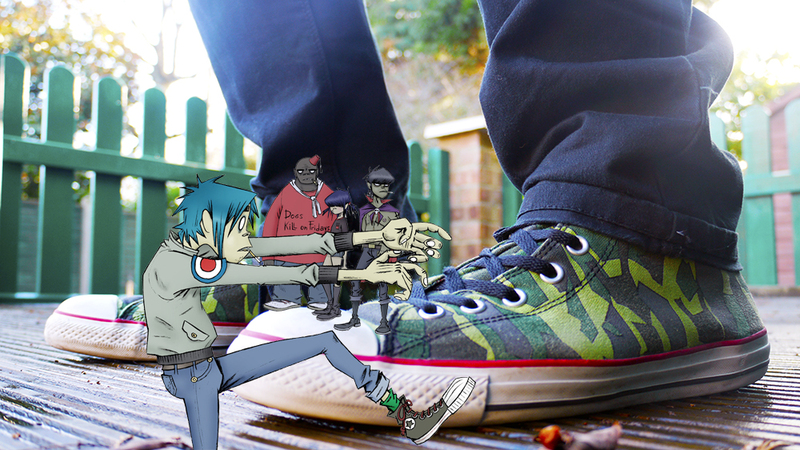 The Sole Of Sci-Fi goees 2D today* as I don the final pair of on-loans trainers from Will Guyatt: a pair of Gorillaz Cons. 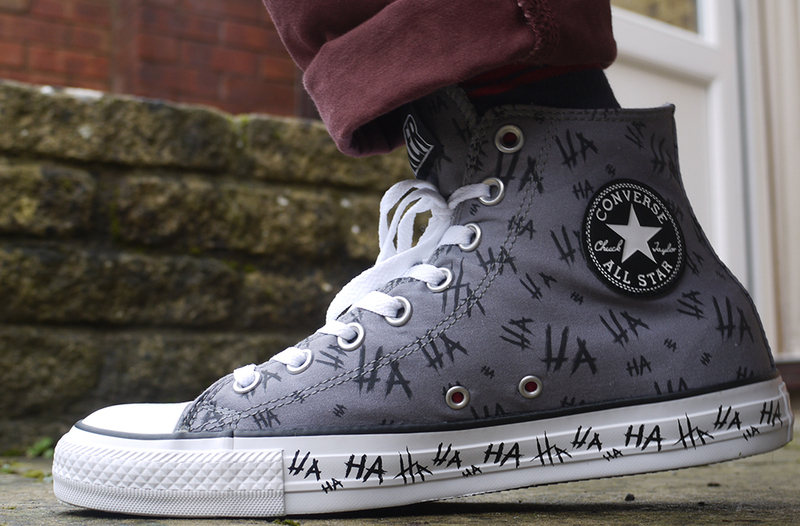 A whole range of these came out a couple of years back, and these were the least oviously Gorillaz-themed, but they’re hiding their best side – the inside. The interiors are plastered with cool Jamie Hewlett art! The geometric camo design on the outside is cool too, whether you get the Gorillaz link or not. 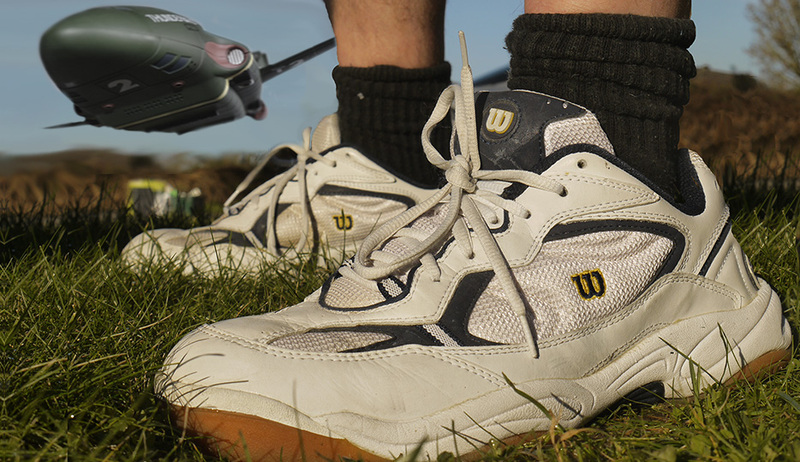 Thanks, Will, for all the trainers you’ve loaned me over the Christmas period. Even if some were on the large size. 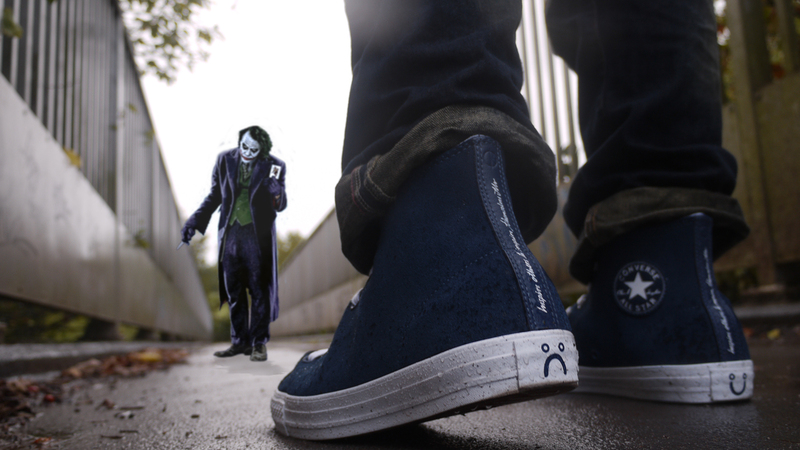 Clown feet ahoy. Off on the train home soon. Blu-ray heaven here I come. Although I have spent this morning watching Doctor Who “The Ambassadors Of Death” on DVD – the last surviving Doctor Who story I’ve never seen before. It’s a bit dull. Seven episodes is clearly way too long for a Doctor Who story. Still interesting to watch, though. 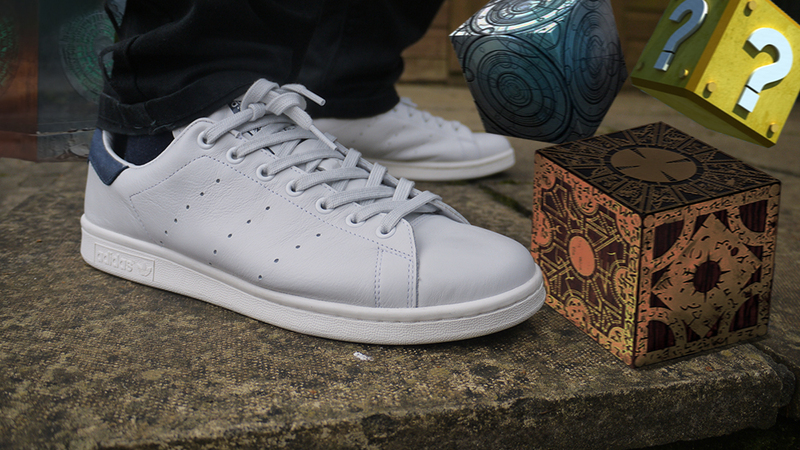 Some sci-fi boxes for Boxing Day, along with a pair of Stan Smiths (with blue trim this time) on loan from Will Guyatt. They’re brand new, so I’ll wear them around the house, but I think I’ll swap them over later for a more practical pair that I won’t mind getting wet and muddy when we go out later. Loved Doctor Who “Last Christmas” just as much on third viewing, and thankfully, the FX and old-age make-up did stand-up well even on a proper TV. If you read my review on the SFX website, you’ll see that I covered my arse as regard those aspects, because it’s difficult to tell for sure in the BBC Previews site’s pixel-o-vision. For example, I really couldn’t tell before last night if there was snow on the TARDIS in the opening titles; I suspected there was, but it wasn’t entirely clear on the preview version. Great to see Carrie Fisher on QI as well. Surely you need to be British to be that eccentric? And so now I have a load of new Blu-rays to watch (they were presents), and staying with APs who have no Blu-ray player. It’s like some form of mental torture! Home tomorrow, though. Last few days to get some sponsorship money in!